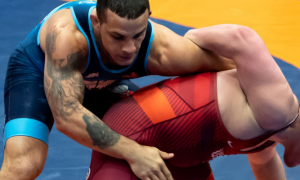 Tyler Curd (130 kg, NMU/OTS) garnered his first overseas gold — and a vast collection of USA Greco-Roman youngsters also seized medals — to close out the 2018 Mälarcupen in stunningly successful fashion. In age-group order, the US was first at Schoolboy, second at Cadet/Junior, and third at Senior. Curd, the 2016 Fargo Cadet champ who just began his first year at Northern Michigan, went 4-0 with three tech’s and a pin to clinch the top spot. That last win shone a light on the importance of foreign training for American youths. Last week at the Klippan Cup, the heavyweight bracket only offered two athletes, Curd and Belarusian Ilya Yudchytis, who tech’ed Curd in their only match-up. This morning saw a complete turnaround. Using a trap-arm bodylock, Curd tossed and pinned Yudchytis. 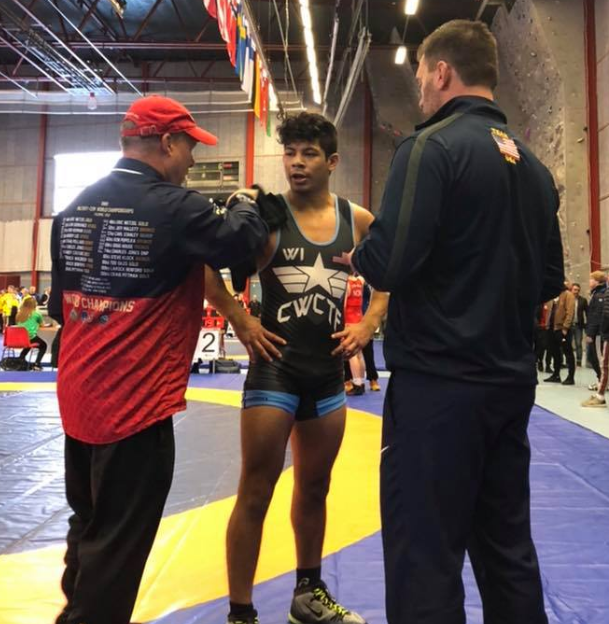 The gold for Curd holds added significance — with the win today he became only the second USA athlete to win the Malarcupen at the Senior level, following Randon Miranda (60 kg, NYAC/OTS) in 2017. Fellow NMU’er Corey Fitzgerald (82 kg) got himself back onto an international podium for the first time in two years on Sunday. He ended the first session on Saturday sporting a 2-0 record. Fitzgerald started off Sunday morning with a win, dropped his next bout, but bounced back for bronze with a pin over David Zaypaev (NOR). Another big story from the weekend belongs to Wisconsin’s Logan Hatch (65 kg), who first traveled to Sweden a few years ago for the experience. One of Lucas Steldt’s prize charges at the Combat Wrestling Club, Hatch was forced off the mat for most of last year due to a broken back and this tour represented his return to competition. He really made it count, did Hatch. All in all, he went 5-2 in seven matches to win his pool and earn silver, his highest such placing at a tournament of this magnitude. 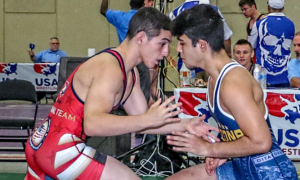 The 2018 Cadet World Team duo of Hunter Lewis (65 kg, WI) and Dominic Damon (67 kg, WA) had their say this weekend, as well. Lewis, who bronzed last year at the Mälarcupen, hit a rough patch and just missed out on the medal rounds, ultimately finishing ninth. Competing in the Senior division for the first time, Damon went 2-2 and wound up in 6th place. Sean Sesnan (60 kg, WBC) was trying to kick off his full-fledged international career with back-to-back silvers but came up just short. Like Fitzgerald and several other Americans, Sesnan entered action on Day 2 with a pair of wins and no losses. That changed this morning with Sesnan dropping his final two bouts. 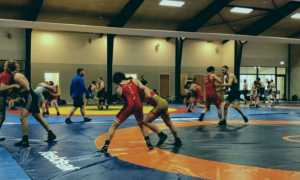 As mentioned on Saturday, Sesnan is the first Williams Baptist College Greco-Roman athlete to compete overseas and placed second last week at the Klippan Cup. The US presence at the Mälarcupen this year saw the addition of a large contingent of Schoolboys thanks to Wisconsin tour organizer Jared Lewis. Typically, this tournament represents the culmination of the annual NMU trip helmed by Olympic Training Site head coach Rob Hermann, and he also tends to bring a handful of age-groupers along depending on the circumstances. 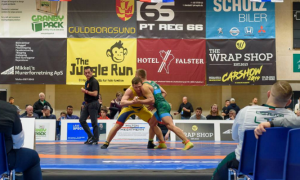 In 2018, those circumstances resulted in approximately two dozen more Americans competing at one of Scandinavia’s Europe’s most populated Greco-Roman events. 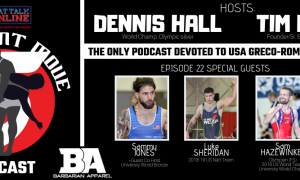 Bronze medals were earned by Olympic Training Center Accelerator Program athletes Cole Stephenson (60 kg) and Noah Wachsmuth (65 kg), and just as impressive as the medals is how these two went about stamping down wins. Of Stephenson’s five wins, four were 8-0 blank jobs. 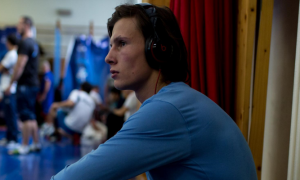 Three of Wachsmuth’s wins also arrived via tech, including a 24-13 barnburner opposite Puttichart Phaitoonwong (SWE). 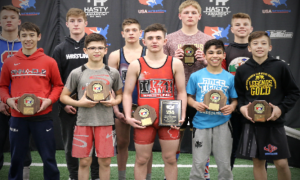 Cheaney Schoeff (48 kg, IN) was lights out the entire way but fell in the finals to one of the tournament’s most dominant athletes, Greyson Clark (WI). All told, there were four golds for the Schoolboys but it’s tough to top what Ivan Ivanov-trained Jadon Skellenger (ID) pulled off. Check this out: Skellenger had eight matches between Saturday and today. 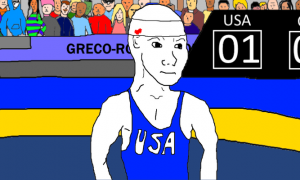 He pinned all eight opponents. Yikes. The crazy part is that this kind of performance was the rule for the US youths who won the tourney, not the exception. Kolby Warren (38 kg, MO) — five tech’s, one pin, outscoring his tech’ed opponents 61-0; Christopher Coates (41 kg, KS) — Coates was forced to grind out his last two matches, but still engineered a ledger that saw three pins and a tech fall; Clark is someone people have pointed to as a potential future star and it’s easy to see why — Clark notched four pins and two tech’s en-route to his gold at the Mälarcupen this weekend. Following a collective performance that brought with it five champs and 10 overall medals, Steldt was understandably fired up when asked to provide a summary of what this all means to the US program at the current moment.